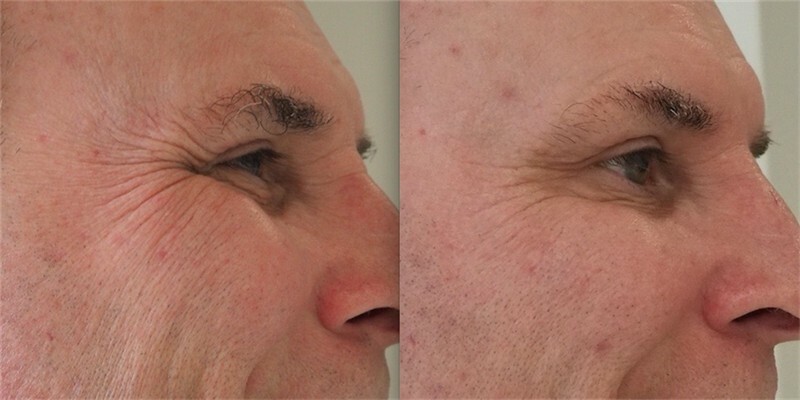 Eye wrinkle injections are one of the most common treatments at our Sydney clinic. Crow’s Feet / smile lines / eye wrinkles occur when a person smiles, using the outside part of their orbicularis oculi muscle. Over time, these lines etch in permanently and are there even when the person is not smiling. Did it the antiwrinkle injections last well? 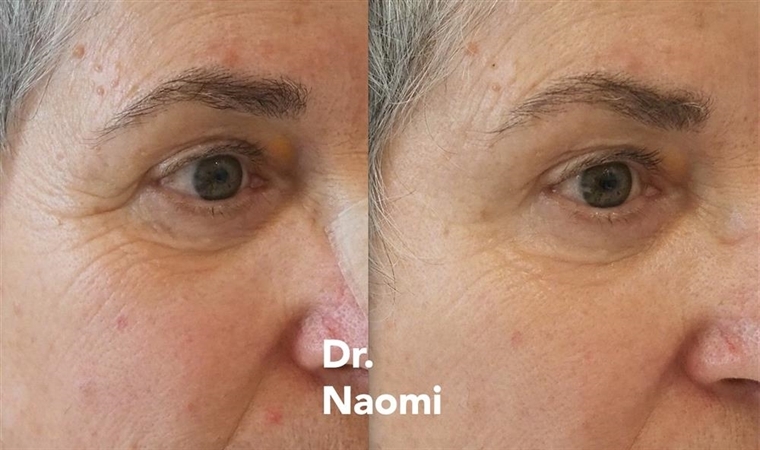 Does the patient want a more natural appearance, with some lines left, or do they want the maximal effect possible? Whether there is a bulge in the lower lid. How much the crow’s feet extend down the side of the cheek and under the eyes. Most patients do not bother with numbing cream because it takes so long to work and because the treatment in the crows feet isn’t very painful anyway. We have yet to try the “Ouchless needle”, but we are able to order it if requested to do so. What happens during the crows feet treatment itself? The doctor may inject approx 2-7 sites around the outer part of each eye. Then pressure with gauze will be applied. Asymmetry: Often one side is better treated than the other, this is usually because the patient is asymmetrical to start with. What to expect after eye wrinkle treatment? Immediately after eye wrinkle treatment, sometimes there is nothing to see. Sometimes there can be bruising, redness or small lumps, which can look like mild acne and usually resolves quite quickly. The maximal effect of the drug will be at 4 weeks, so a review should be booked in at 4 weeks (only after the first treatment, for subsequent injections, a review appointment shouldn’t be required). No. No need to call the doctor. Sometimes asymmetry will occur because one side just comes on quicker than the other. Usually it will right itself by the time of the review appointment. If it doesn’t, then it can be treated at the review appointment. There is no point in coming in early for treatment of asymmetry. In other areas of the face, treating asymmetry too early could lead to droop or further asymmetry. Most patients have some level of asymmetry as their starting point. How long will the antiwrinkle treatment last? When should I have my next treatment for crow’s feet?